Course instruction is devoted to deep understanding of sound writing processes and unit development. 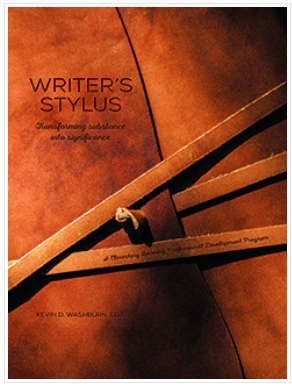 Each participant will receive a Writer’s Stylus Course Book on the first day of the course. Participants pursuing graduate credit are also required to read either A Writer’s Coach by Jack Hart (9781400078691), OR Writing Tools by Roy Peter Clark (9780316014991), OR Thinking Like Your Editor: How to Write Great Serious Nonfiction—and Get It Published by Susan Rabiner and Alfred Fortunato (9780393324617). See Course Syllabus for selection guidelines and follow-up assignment in the Work Submission & Grading section. These materials may also be ordered from Make Way for Books or any book retailer. Completion of the Writer’s Stylus Basic Course qualifies each participant to implement Writer’s Stylus in his currently-employing organization. Graduate credits for 24 hours are available from Northwest Missouri State University at an additional cost; four CEUs for 24 hours are granted through ACSI for ACSI-certified participants at no extra cost.